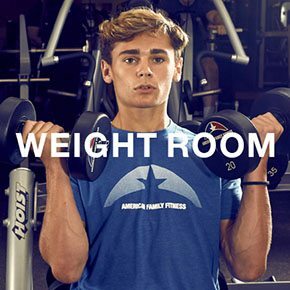 With a wide variety of weight machines, free weights, and functional training equipment, American Family Fitness is the best place for your strength training! Whether you are new or a pro, we have everything you need. Take command of your fitness with strength and weight training at American Family Fitness in Chester. With weight machines, free weights, and functional training equipment, you can tone and strengthen, build lean muscle mass, and burn unwelcome calories. If you're new to strength training, personal trainers can guide you in proper form and technique. We're all about fitness and safety at our gym in Chester. Do you always wonder why so many people lift weights? With proper strength training you can improve your body’s ability to burn fat, protect your joints, and increase energy stores. Strengthening activities also increase muscle mass, which improves your ability to burn calories at rest. Come see us at our gym in Chester to see everything we have to offer. With all of our weight machines, and our large collection of free weights, it is no wonder that we are the best gym in Chester. 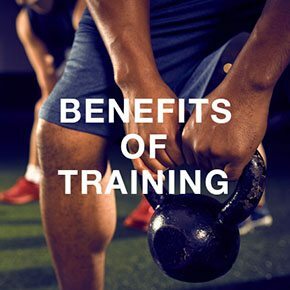 Our members also have the ability to strengthen all muscle groups and improve muscular endurance by utilizing our extensive assortment of barbells and kettlebells. 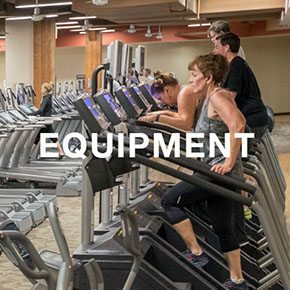 At our Chester gym, all of the equipment we offer is top-of-the-line. Member safety is paramount, and so equipment is continuously inspected to ensure good working order. If you are unsure of how to use our equipment, ask one of our knowledgeable personal trainers; they will be more than happy to assist you.